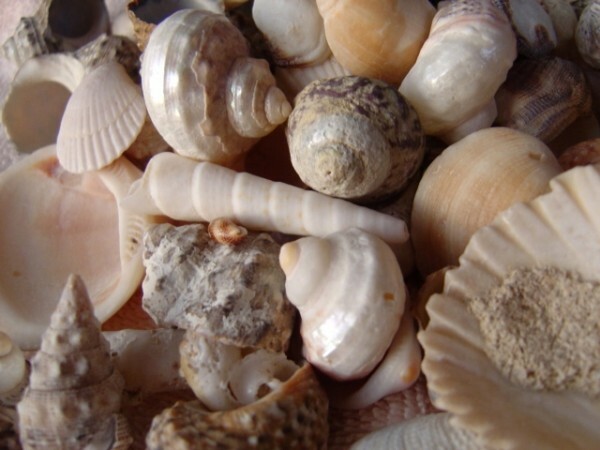 Free closeup photo of sea shells. This photograph shows spiral as well as clam type shells. The picture is free for any use.